Arts and Heritage consultant, formerly Senior Consultant for Public Engagement, Head of National Programmes and Deputy Keeper of Prints and Drawings at the British Museum from 1975-2011. 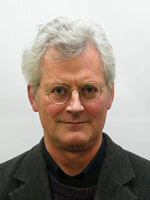 Author of publications relating to the British Museum’s collections and other subjects. 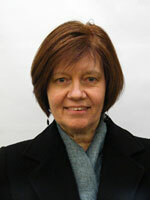 Appointed to the Board of the MLvM Charitable Trust by the Charity Commission in 2006. He is a specialist in German 20th century art, organising exhibitions on, among others, Max Beckmann, Joseph Beuys, Rebecca Horn, Wassily Kandinsky and Gerhard Richter. He was one of the founding trustees of the MLvM Charitable Trust in 1992. Assistant Director of Collections 2003-14 and Keeper of Paintings, Drawings and Prints 1984-2014 at the Fitzwilliam Museum, Cambridge; Keeper of Paintings and Drawings 1982-84, Assistant Keeper of Paintings and Drawings 1976-1982. Educated at Westminster School and at Pembroke College, Oxford, where he read Chinese. Scholar on the Sotheby’s training scheme, he worked for the Sadlers Wells Opera and Dame Margot Fonteyn before joining the Department of Medieval and Later Antiquities at the British Museum. Transferred to the Department of Coins & Medals and then moved to the Fitzwilliam Museum, Cambridge, 1976. Author of exhibition catalogues relating to the Fitzwilliam’s and other collections. Author of the Catalogue of Italian Drawings at The Fitzwilliam Museum, 2011. He was one of the founding trustees of the MLvM Charitable Trust in 1992. Keir McGuinness is a management and art consultant with extensive experience working in governance with museums and galleries. He is a trustee of family and arts trusts, including Chisenhale Gallery and Chisenhale Art Place, Chair of Art360 and Vice-Chair of the Public Monuments and Sculpture Association (PMSA). 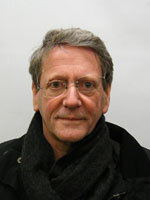 Keir was formerly Chair of the Trustees of the Whitechapel Gallery and a juror of the Turner Prize in 2000. Copyright 2019 © Marie-Louise von Motesiczky Charitable Trust.